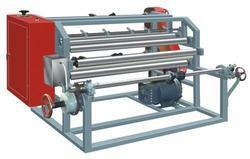 Our product range includes a wide range of slitting machine. We are the renowned manufacturer and supplier of a wide and exclusive range of Slitting Machine. The offered machine finds application in textile and other industries. This machine is manufactured under the visionary guidance of deft professionals with the aid of modern techniques as per the global market standards. Offered machine is valued for their trouble free working system, convenient maintenance system, low operating cost and long functional life.